How Do You Throw Like That? That is the question I get when someone watches me throw. My response, it feels natural. I really don't know why I throw the way I do. My best guess is the following hypothesis. In my last High School game I was drilled in the forearm by current Phillies farmhand CJ Woodrow. Up to this point I was a normal over the top thrower. In fact the first time I was drafted it was by the Twins in 1999 and I was throwing directly over the top, I'm sure they still have video of it. That next day after getting hit in the arm I had trouble gripping a baseball. About two weeks into summer baseball I still could not throw a baseball unless it was from three fourths / sidearm angle. I tried to pitch but my mechanics wanted me to go over the top but it hurt too much to do that. 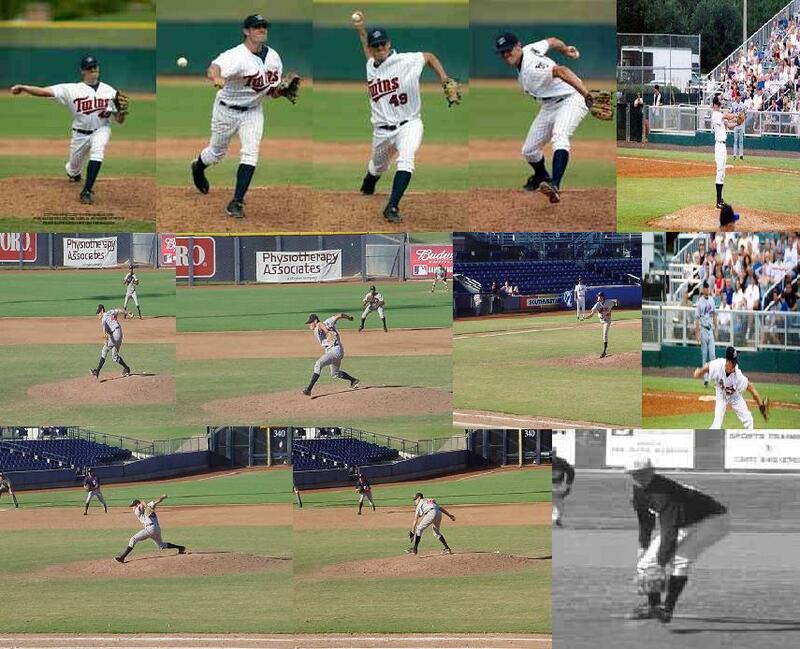 I continued to play shortstop all summer turning double plays and throwing the ball from down under. I eventually finished the summer season and took off the rest of the time until I started college, which was about a month and a half. During that time my forearm healed and when I got to Butler I felt fine throwing the ball. One problem though, I had a whole new arm slot and it wasn't anything I thought it could be. During my freshman year at Butler I was watching a tape of me throwing and this was one of the first times I had seen myself throw on TV since high school. A lot changed in my mechanics from high school to college and I never noticed nor felt like I was throwing any different. After viewing the tape I was shocked and tried for a few months to change my mechanics. Near the end of the season I watched myself again after trying to improve the delivery but it still looked the same. Butler Head Coach Steve Farley tried for the rest of the year to work on making me "Look Normal." During my Sophomore season on an average day near the end of Fall Ball, Coach Farley came up to me and said "Do your own thing" "That's your own unique style and it works" and something to the extent of "I give up with you." From that point on I stopped feeling bad about having the worst mechanics in college baseball and used my style as strength. So now if you ever see me pitch you'll know how I pitch like that!